Tinnie Tempah, Tribal Magz, J. Cole ft. TLC, Major Lazer, Disclosure and more. 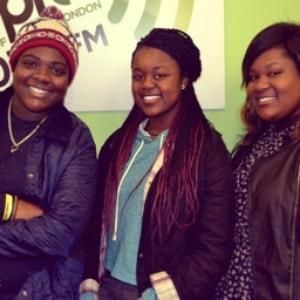 This week DJ Dizzy Dee took over the Connect show with her co-presenter DJ Marsz for a whole hour playing you the best in Hip Hop, House, Rap, Grime and much more. Listen back to hear music from artists like J Cole, Cashtastic, Katy B, Tinnie Tempah, the list is endless. Let&apos;s not forget about our Connects Classic which was...Listen back to find out! !